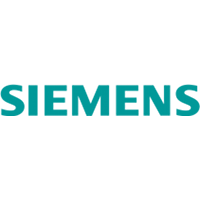 Profile: Siemens AG (headquartered in Berlin and Munich) is a global powerhouse in electronics and electrical engineering. Operating in the fields of automation, electrification and mainly also digitalization, Siemens holds leading market positions in all its business areas. The company has roughly 372,000 employees – of which 39,000 were newly hired in Fiscal Year (FY) 2017 and of which 115,000 or 30,9% are based in Germany – working to develop and manufacture products, design and install complex systems and projects, and tailor a wide range of solutions for individual requirements. For more than 170 years, Siemens stands for technological excellence, innovation, quality, reliability and internationality. In FY 2017, Siemens had revenue with business in more than 200 countries of e83.05 billion. Arising from Siemens software and digital services alone, e5.2 billion could be achieved, making it a growth rate in this area of 20%. In fiscal year 2017, the company invested e5.2 billion – 6.3 percent of its total revenue – in research and development (R&D) to stay at the forefront of technological progress. Today the company employs some 38.000 researchers and developers, who work on innovations that secure existing business and open up new markets. Collaborations are an indispensable mean of developing strategically important technologies. With over 7,400 employees worldwide, Corporate Technology (CT) plays a key role in R&D at Siemens. The CT organization provides expertise regarding strategically important areas to ensure the company’s technological future, and to acquire patent rights that safeguard the company’s business operations. Against the background of megatrends such as climate change, urbanization, globalization, and demographic change, CT focuses on innovations that have the potential to change the rules of the game over the long term in business areas that are of interest to Siemens. CT covers a wide range of technology fields including the subject areas materials and microsystems, production methods, security, software and engineering, power engineering, sensors, automation, medical information systems and imaging methods, information and communication technologies, the extraction and processing of raw materials, and off-grid power generation. So called SMART (“Simple, Maintenance-friendly, Affordable, Reliable and Timely to market”) solutions implement new technologies in a manner that renders them competitive in low-price markets. Expertise and Role in CONCORDIA: SAG is participating to all WPs in CONCORDIA project and also leads T3.1 which focuses on Building a Threat Intelligence for Europe. As one of Europe companies in R&D, Siemens AG has a wide range of services, technology fields that can contribute to the project, including the subject areas materials and microsystems, production methods, security, software and engineering, power engineering, sensors, automation, medical information systems and imaging methods, information and communication technologies, the extraction and processing of raw materials, and off-grid power generation.